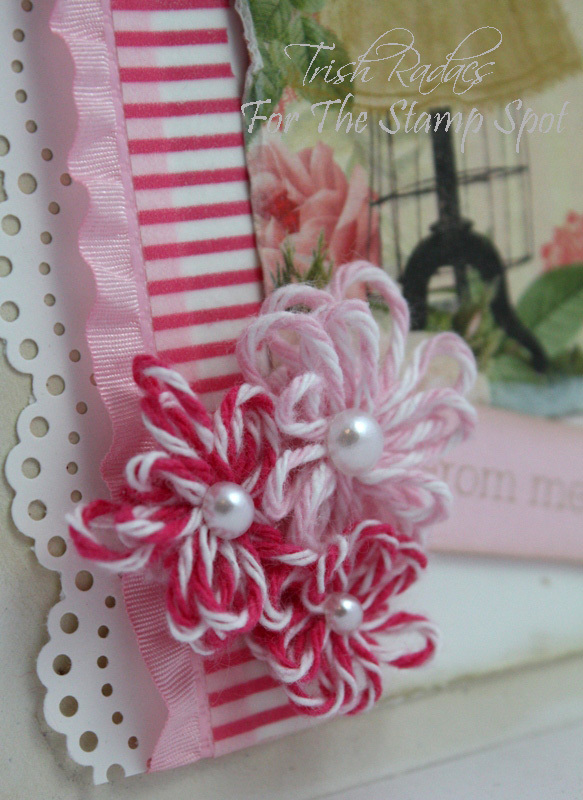 I was having a play around with twine and came up with these cute twine flowers! So I decided to use them on this card using the Stamp Spot December sketch for inspiration. 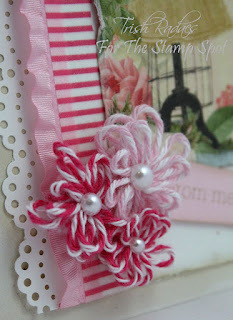 If you'd like to see a little tutorial on how I made the twine flowers just pop over to my post here at The Stamp Spot blog. 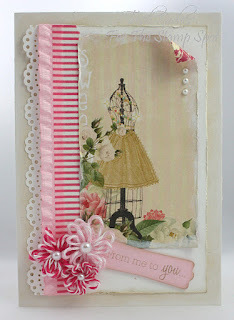 Other: Doily punch (Martha Stewart), Pearls, Washi Tape, Twine and Ruffled satin ribbon from The Stamp Spot. Hi Trish, LOVE those twine flowers, I so needed that idea last month so might steal it! Love your take on the sketch it's soooo pretty and so very girly! Oh my goodness those twine flowers are divine. Love this card, very very sweet. You are so clever! Thankyou for your love and warm wishes! I do hope that your Christmas was amazing and the your New Year is SUPER DUPER!!!! Oh and I love these flowers! SO will be making some of them, thanks heaps for the tut!! !